Can you make money from a travel blog? The thought has probably crossed a lot of your minds. It surely crossed mine earlier this year. The blog you are now reading is a Travel and Career Blog where I combine two of my biggest driving factors in life. So in some ways, it’s not just a travel blog. However, a huge chunk of my focus does remain on travel as is clear from my Instagram account and I’m not really sure if and how I would ever monetize the ‘career side’ of this blog as that’s driven from my professional experiences. The reason I want to share with you my experience on monetising this travel blog is not because I want to boast about what I make online. In fact I’m probably never going to be a “blogging income” kind of blogger as I’m not very comfortable with the idea of people dissecting my bank account and figuring out what I make, how much I spend or save on a regular basis. I’ll never talk about how much I’m worth, or what my total assets are or what I make or save on a monthly basis online simply because I’m not a personal finance blogger, and there are people out there much better equipped to discuss the financial technicalities than I am. So much so, that I actively avoided taking any finance related elective during my excruciatingly expensive MBA. I do want to share with you that monetising a travel blog IS possible. It may take one month, six months or twelve months, but done right this can happen. 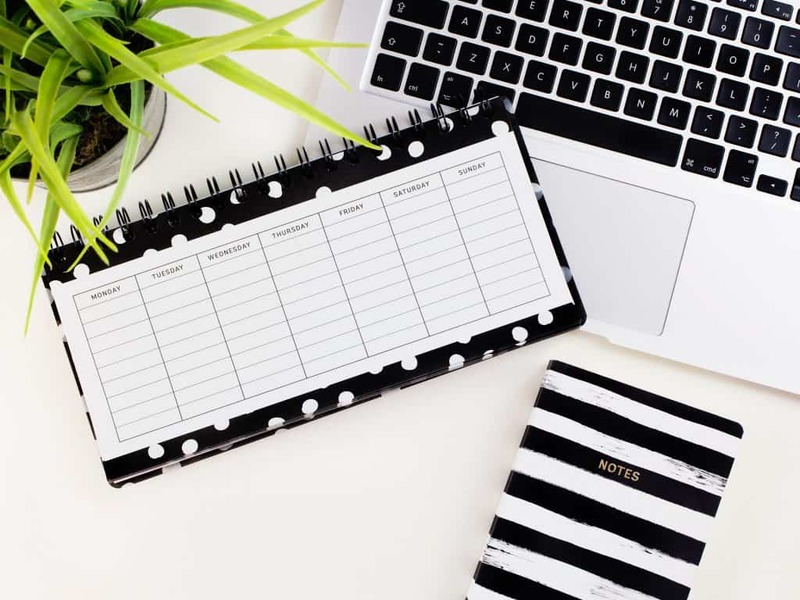 Since blogging has various forms of income, you may or may not be able to cash in depending on how often you cross this barrier from individual sources. I’ve been able to cash in some, and some is still a work in progress. When I started my new blog in July 2018, my goal was to make $500 or INR 36,000 in the first six months. Just for perspective, I’m finishing my second Master degree, working 20h/week as a marketing intern and living by myself in Germany (Read why I moved to Germany from India here). So I am not exactly a free person by any stretch. I also Airbnb the extra room at my flat and make about $500 a month to help pay for rent and travel but that’s not a part of this travel blog income report. I’m so glad that I’ve already reached 85% of my year end goal. It’s been slow and painful, but it happened! Without further adieu, let’s jump into the top ways this travel blog generated an income in the first three months. I will not go into the details of what affiliate marketing is and which advertising network you should use. You can find the basic lingo and steps to start a blog here. I guess you’re familiar with advertisements. The age old way of generating income for any and every kind of publisher whether online or offline. As soon as I started this blog, I hopped on two advertising platforms, namely Google Adsense and Media Net. I made a measly sum of $15 for the first three months with about 18,000 views. Adsense brought in about $13 and Media Net brought in (wait for it) $2. I have to say that I only used about 50% of possible ad space because I don’t want my readers to be bombarded with ads, not to mention it slows down the website significantly. As you can see, this form of advertising is not really a reliable source of income for a new blogger. My main focus right now is not on getting into this network, as I know that realistically speaking I need at-least six more months to get there and the aim is to diversify my blogging income and not just hope and pray to reach this threshold. I also don’t rely only on social media driving these views for me (even though social is about 50% of my traffic), as I am focusing majorly on SEO so I can enjoy passive income a few years down the line. Not to mention, organic traffic generates the highest RPM for ads. In layman language this means, you get the maximum bang for your buck when the traffic comes via a search engine and not via FB or Pinterest. I also made $20 for a small monthly ad an affiliate partner approached me for. I was happy to oblige as this 1 small ad was worth way more than Adsense plastered across my website for 3 months. Every blogger’s passive income dream starts and ends with Affiliate Marketing. The idea is to generate an income in your sleep, all the while recommending the best products and services to your readers. It sounds easy, but is DEFINITELY not. I made about $144 through affiliate marketing but this wasn’t via one product or platform. Sometimes, I forget how many affiliate partners I have because there are simply WAY TOO MANY to realistically keep a track of. The good thing about running a travel blog though, is that due to the increasing travel agents and services online, there is no dearth of products you can promote. The flip-side of this is that each program is unique, with a unique commission structure and a unique cookie (time-frame within which a person should purchase something) allowance. These commission models can range from pay per lead programs, to pay per sale programs to even pay per click programs. There’s also usually a minimum criteria to get accepted into a affiliate network and rejections from affiliate partners are more common than you think. The only hosting package I have ever used, and one that has really helped me transition super easily into my new blog. This is the one thing you MUST get if you ever hope to make money from your travel blog. I only joined this platform to promote Tailwind, and that as you can see has clearly paid off. This is also a really good affiliate platform for lifestyle and marketing bloggers. Since I also do have a small focus on blogging and content marketing, I often find interesting offers here to promote. I wouldn’t recommend this platform for pure travel bloggers though as it has limited global programs. My favourite program especially when it comes to finding partners for a travel blog. CJ Affiliate also offers you the opportunity to offer a ‘placement’ as an ad or a sponsored post so like-minded partners can find and approach you. I guess I don’t need to tell you what this program does. You can join them via CJ Affiliate or their direct entry program. I wanted to be able to have global links and hence applied for their direct partner program. It’s a very meagre and low converting program for me, so I may do away with it entirely. As a one time backpacker (now I prefer affordable luxury or non-sharing rooms), I know just how often and how much I use this platform. When I’m travelling solo, I almost always live out of hostels and it’s also a much better driver of travel blog income for me than Booking.com. Perhaps the most disappointing and stringent program of all, it’s a necessary evil. I haven’t signed up in all their country specific programs except for the ones that are most relevant to me. The program does allow you to have some really cool and easy to integrate features but since I do not have a very high product focus, I stick to recommending services I’ve tried and tested via other affiliates. I guess this a familiar sweet spot too, but one that requires a lot more active hunting in the beginning. You may have to actively reach out to like minded brands, products or websites that may be interested in working with you on sponsored posts or reviews. These of course have to be related to your niche, or it’s not a beneficial deal for anyone and your readers will see through the fake reviews pretty fast. I was lucky to be approached directly to work on one such post along with some affiliate benefits, and even though I’ve had some offers from interested folks I haven’t taken them up if it didn’t suit the overall theme of my blog or target audience. I don’t want to generate content for the heck of it. And $100- $200 for a one time post is not worth the long term brand I want to build and the personal integrity I do have as a blogger. Another good compromise for new bloggers here, is to work on a increased commission plus a base fee instead of a solid sponsored post. I’ve had some of these incoming requests but I try to stick to just one sponsored post per month, if at all. Not because I don’t want to get paid to write, but because I have so much non-paid content that I want to create and if that is not complemented by the sponsored content, I would rather not take it up at all. I’d rather focus on maturing my blog organically until then and only focusing on sponsored content that I enjoy creating and adds real value to my readers. Another great place to find sponsored content for travel bloggers is Cooperatize. I am not a huge fan of their payment mechanism, but it doesn’t hurt to check out interesting gigs every once in a while. I had read a ton of articles on this platform, but it wasn’t until I came across this post that I started to think about monetizing my Medium articles. So I hopped on to handpick 2 or 3 posts that I wanted to publish via the Medium partner program each month which was posts that I had originally written for my blog, and then syndicated on Medium. I was so surprised when I made about $15 in two weeks just from the appreciation received via claps (from paid members) on this platform. The thing with Medium is that it is a tricky platform and you don’t wan’t to cannabalize your own organic growth by being shown always on medium first (as its a much older, stronger platform than your baby blog any day), but it is also an incredible opportunity to reach thousands if not millions of new people each month. This article of mine was so well-received that Medium actually went ahead and made me a ‘Top Travel Writer’. Woohoo! Any avid traveler, is going to be aware of the home sharing marketplace called Airbnb. I’ve used them aggressively while I tried to save $14000 to move to Germany from India. I also love hosting people on a regular basis in my current apartment which helps me pay my bills on time. I’ve been upfront about this travel hack but I also make referral income each time a person from one of my links goes ahead and actually starts hosting or travelling via Airbnb. I mean getting referral income for me is as good as cash because I use Airbnb ALL the time while traveling. My referrals also get a $35 signing up bonus. I get about $15 for each new person that signs up. This post wouldn’t be fair or transparent if I didn’t state out exactly how much it costs to run this blog. I switched into a self hosted blog earlier this year and I pay about $7 a month for a medium bandwidth plan, while starter plans can be from $4 onwards. Since I paid this amount in a lump-sum for a year and I also purchased a $60 theme, my total fixed costs at the onset were about $144. I also pay about $15 per month for Tailwind and you can read exactly how and why I use them here. You can say the cost of running my blog per month is about $15 with $144 as fixed costs with small changes here and there to any new tools that I may experiment with. Like I have explained here, blogging is one of the most low key ways of starting a business and done right, it can help you break away one day from a soul crushing job. PickMonkey: Photo-editing, Logos and Social Media Graphics. 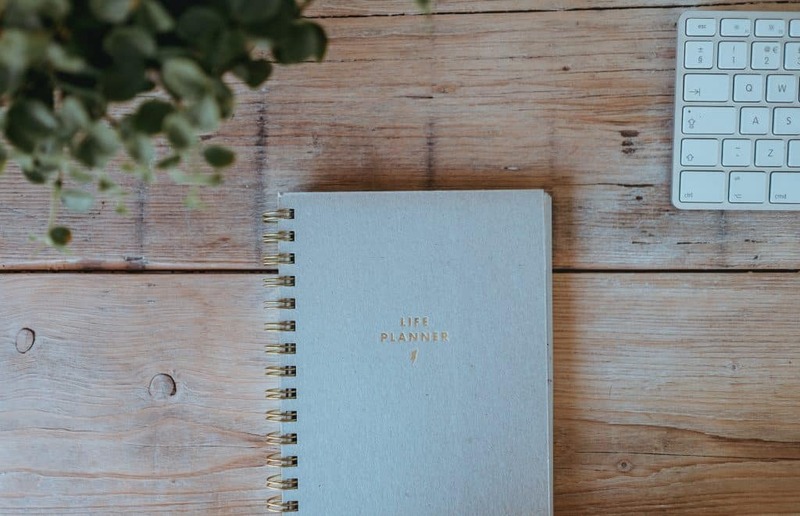 If you’d like to receive this essential tool kit and a step by step blogging guide to help you start your travel blog today, go right ahead and subscribe here! 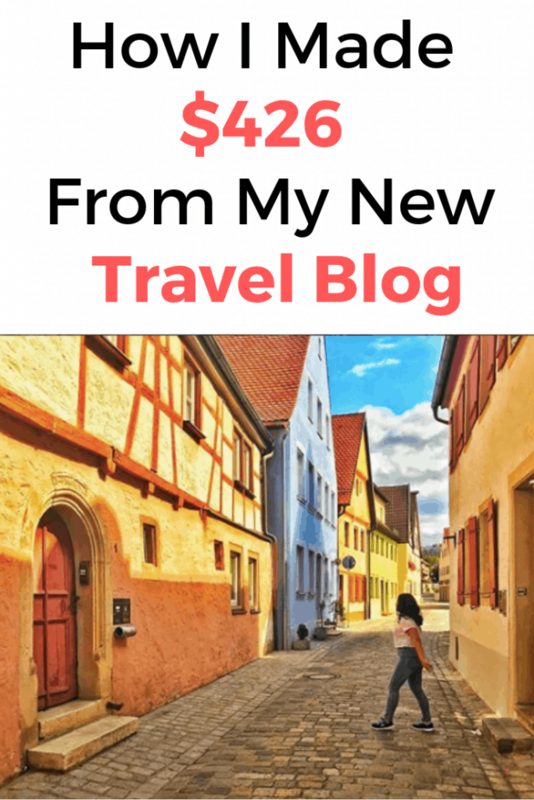 I hope this post helps you see that if you’re consistent, willing to spend some initial money and wait it out, it IS possible to generate an income from a travel blog. Wow, this is really great. I’m in my first month blogging. Wish I would have come across this a month ago. Beautiful blog and article. Thankyou so much for reading. I wish you all the best for your journey! Very impressive first 3 months! I really liked the part where you talked about your earnings are not much in the western world, but 5x minimum wage in India. But regardless what country, how many people can say they started something from nothing and it is now generating you a income? You are just on the beginning of your journey. Thanks for sharing Shruti! Thank you so much for reading. Yes i agree earnings are always relative and since my audience is a good split between western and eastern audience so people can relate better! Hey Shruti! This list is awesome. Literally never occurred to me to use Medium to monetise! Cheers for all the great advice. Hi Dagney, happy to help. Thanks for reading! These are great tips! Def trying some! Thanks! All the best on your new journey! 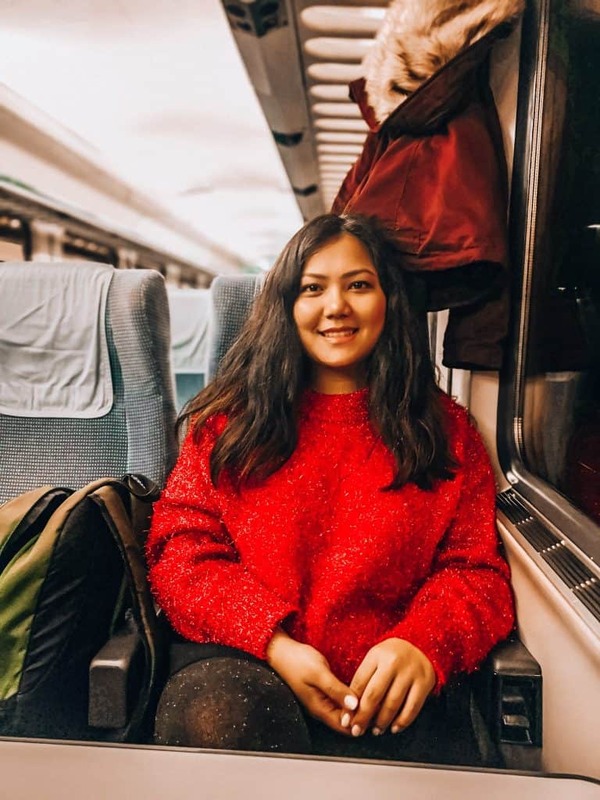 Really very helpful and beautiful post Shruti i appreciate your work and thanks for sharing your detailed and honest experience. Awesome! I started a travel blog and I didn’t earn the same way as you do. I’m freaking out right now, how did you do that? I will make you as an inspiration for my blog and someday I will be like you. Thank you for the inspiration and for sharing your great experience.